Have you ever heard of the UAB Blazers? No, don't worry, no one else has either. Anyway, UAB stands for the University of Alabama at Birmingham and they are the little step brother to the real University of Alabama just down the road in Tuscaloosa...Ahh Tuscaloosa, Alabama. God's County. But I digress...UAB has a mascot named Blaze, he is a Dragon. I know, I know, a dragon - like Harry Potter stuff. In fact, Harry Potter would probably be a starting guard on the UAB football team. Hell, they can't do much worse. UAB's colors are green and something else. I'm not sure what the other color is and I don't think anyone else does either, because no one goes to their games. But, UAB needs to change their colors to pink and black so their players can wear this pink blaze neoprene face mask during the games. 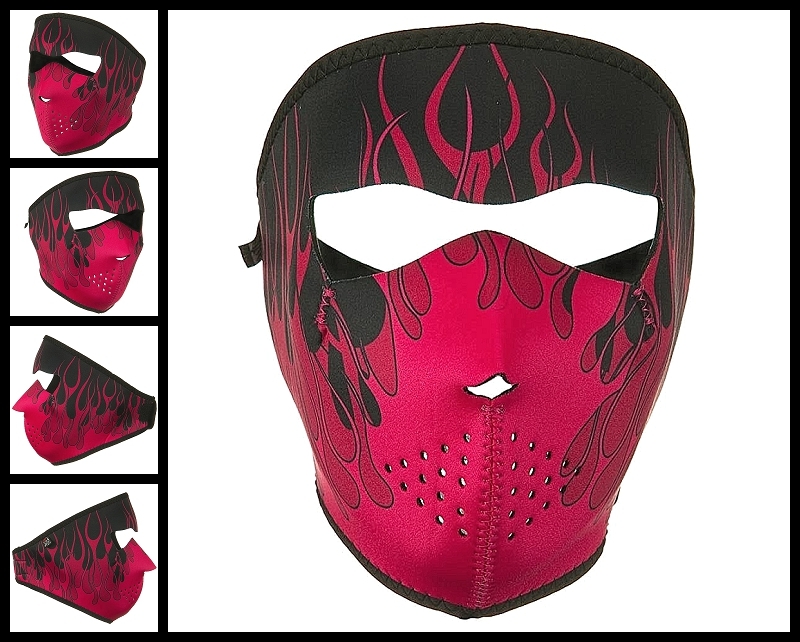 It makes a ton of sense because the fans (and I use that word loosely) could wear this pink blaze neoprene face mask in the stands, and it won't be so embarrassing to be at a UAB game.